You may ask us why we prefer not to be affiliated to or be members of any trade associations or special clubs. The answer is simple… our customers always come first. We want to spend as much time as we can making sure our customers are happy. While they have their perks, being an affiliate or part of an association always comes at a cost. The money G A Butler & Sons save on fees can be passed on as savings to our customers. We don’t think that the rewards we would gain from affiliations and associations are worth the cost. Therefore, we don’t take part. If we are spending time at their events or spending time on producing paperwork for their schemes, it means less time for our clients. 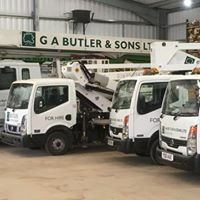 G A Butler & Sons value the relationships built up with our customers. Prioritising our customers is one of the many ways we strive to deliver the best service possible to all of our clients. 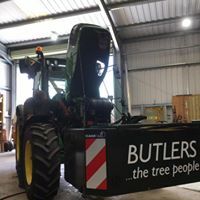 When at their events/seminars we would spend more time eating nibbles and on small talk than actually doing the job that G A Butler & Sons are best at… Tree Work. Although it might be nice to attend theses functions, it takes away from our time making sure all of our operations are running as smoothly as possible. The opinions of a committee are always changing, and members are often forced into accepting policies that they don’t agree with. At G A Butler & Sons we prefer to concentrate on what our customers need without the unnecessary influence of others. Call us today for a proper job. You can find a full list of our services here.